We manufacture Hydraulic Pipe Benders that are used for bending any kind of pipe other than conduit pipes. 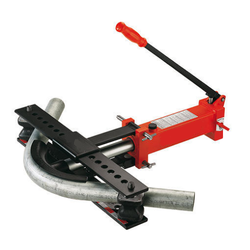 Our pipe benders are ideal for pipe fitters and general engineering applications. These can be both vertically and horizontally operated. 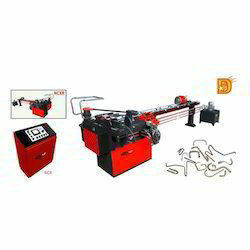 We offer high quality Hydraulic Pipe Bending Machine. These are motor operated for long radius heavy gauge ERW pipe bending ideally suitable for 'C' class size 3 / 8" to 6" gas, water, steam DIN 2440 / 2441 up to 90° bending & sch. 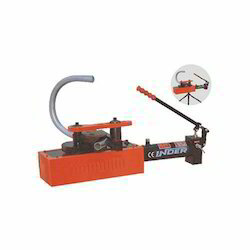 40 on request.The provided array of pipe bender is extensively used. We offer a high wisely manufactured gamut of grade Compact Motorized Pipe Benders. They Motor operated for long radius heavy gauge ERW pipe bending ideally suitable for 'C' class size 3 / 8" to 6" gas, water, steam DIN 2440 / 2441 up to 90° bending & 40 on request. 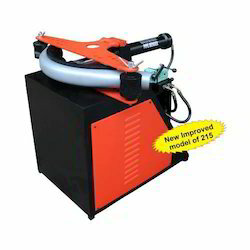 We offer a wide range of Pipe Bending Machine. 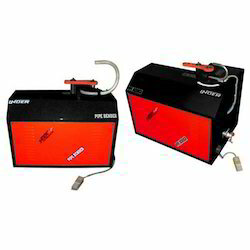 Motorized with power pack specially self designed for short radius heavy & thin wall thickness bending size 3 / 8" to 2" gas, water, steam, stainless steel and conduit upto 180° in two steps.We offer these customize as per the specifications of the customers. 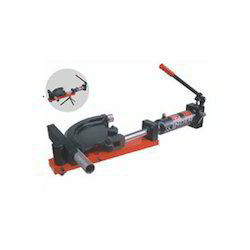 We offer wisely manufactured gamut of Hydraulic Pipe Bender with Double Frame Open Bending. They are motor with power pack specially self designed for short radius heavy & thin wall thickness bending size 3 / 8" to 2" gas, water, steam, stainless steel and conduit upto 180° in two steps. With the constant support of our expert team, we are engaged in presenting a wide assortment of Compact Bar and Strip Benders. Our products are made up of best components using superior techniques and equipments. Our offered products range of Compact Bar and Strip Benders has a long service life and gives a pleasant performance to the user. It is superb in designing and dimensionally accurate in every aspect. Our offered products are widely applauded in the market. To assure its flawlessness finish, offered product is stringently tested on various quality parameters by our experts. We are the leading manufacturers and suppliers of the Single Axis Arm Type Hydraulic Pipe Benders. We offer a wisely manufactured gamut of Pipe Bender. 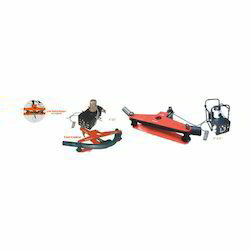 Motorized with power pack for long radius heavy gauge ERW pipe bending ideally suitable for 'C' class size 3 / 8" to 12" gas, water, steam DIN 2440 / 2441 up to 90° bending & Sch. 40 & 80 on request. Prod No. Size in Inches Motor Power / KWIII Phase 440V &I Phase 220 / 110V on request No. of) Formers N.Wt. G.Wt. We are the leading manufacturers and suppliers of the Tube Bending Machine. 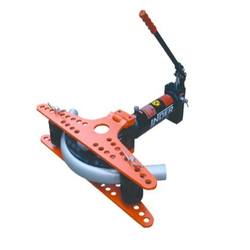 We offer a wide range of Hydraulic Pipe Bender . Manually operated for long radius thin wall thickness bending ideally suitable for ERW 'A' & 'B' class size 3 / 8" to 2" gas, water, steam, stainless steel and conduit upto 90°. This product provides easy adaptability and complies with both osha and ANSI standards.